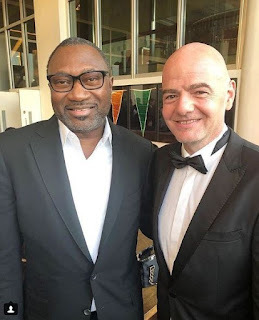 Mr Femi Otedola, a Nigerian billionaire businessman, was among the dignitaries who attended FIFA 'The Best Awards' recently. The highly anticipated award ceremony held in London yesterday saw the emergence of Real Madrid star, Luka Modric, as the new wold best footballer. 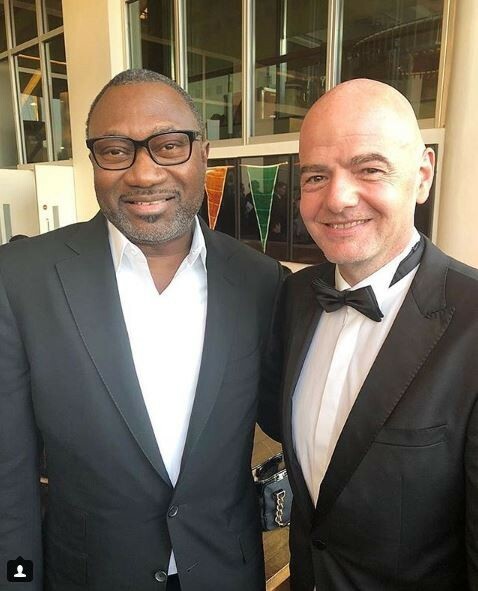 While in London, Femi Otedola met with the FIFA president, Gianni Infantino, and took time to pose for a snapshot with the man. Otedola then shared the photo with his fans. He posted it on his Instagram account. He captioned the photo thus: "An honour to be a special guest of the most powerful man in football. Gianni Infantino, FIFA President... F.Ote"